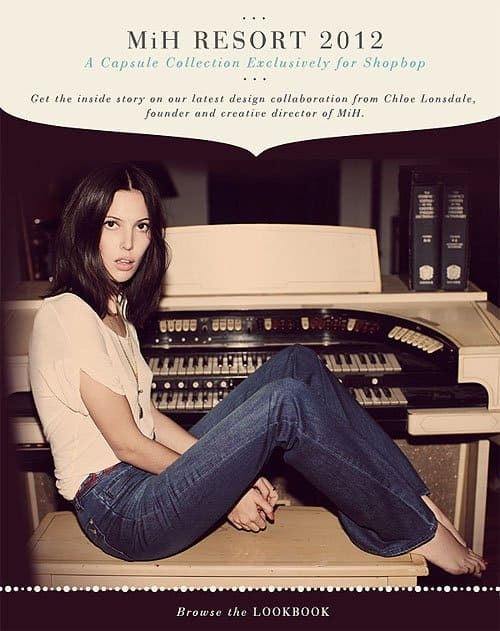 Chloe Lonsdale, the founder and creative director of MiH Jeans, recently collaborated with Shopbop to create the exclusive MiH Resort 2012 Capsule Collection. An archived photograph of Chloe’s mother, Chekkie Maskell, served as the inspiration for this collection. As Chloe’s mother was the original muse for the brand in the late 60s and 70s, the pieces naturally turned out to have a very strong retro 70s look. 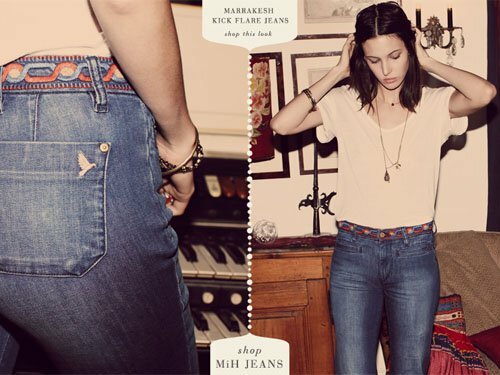 As we here at Your Next Jeans are all over the 70s trend, we are big fans of this collection. 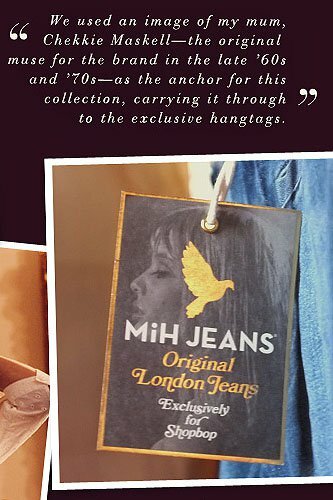 We just featured how much we love that details are turning up on jeans’ waistbands, and this MiH Resort 2012 Capsule Collection features plenty of it. There are tops designed to show off these detailed waistbands, of course — all cropped, loose, or very boho-chic-like tied at the waist. Other denim items include dresses and shorts. We can’t wait to wear these or items like these once the warm weather rolls around. How are you liking this MiH Resort 2012 Capsule Collection?